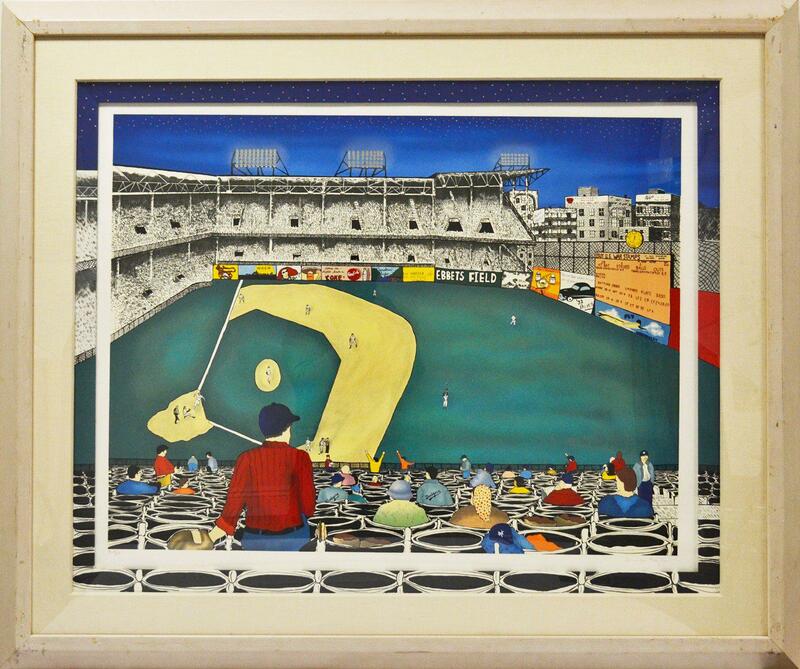 Linnea Pergola's "Old Ball Game - Ebbets Field" limited edition hand pulled serigraph on paper. Hand signed by the artist. Minor scratches on frame - Sold as is. Frame measures approx. 50-1/2 x 40-1/2 inches.